Let's face it: Prints are a pretty fun way to dress up your summer attire. And now, designers are taking it up a notch with mixed-media prints—as in, multiple prints in a single garment. 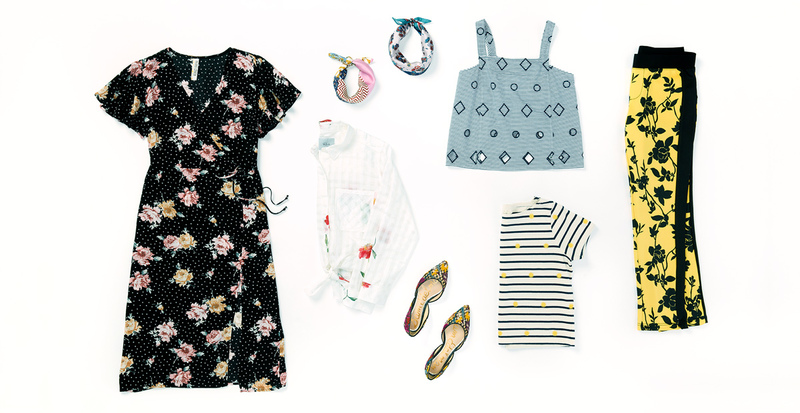 This medley of motifs creates a stylish sense of depth and texture, and we’re seeing it applied to everything from soft summer tees to flouncy skirts and espadrilles. Get inspired below by some of our favorite combinations that merge florals and checks, plaids and stripes, and even a bit of chevron. Start off with a less in-your-face approach by sticking to neutral-hued prints with subtle differences. Try a gauzy tank with an understated plaid and stripe combo, a light floral motif floating on a canvas shoe, or a linen lounge pant with contrasting stripes. If mixed-media prints sound like a party, they definitely are! Bold motifs make expressive style statements. 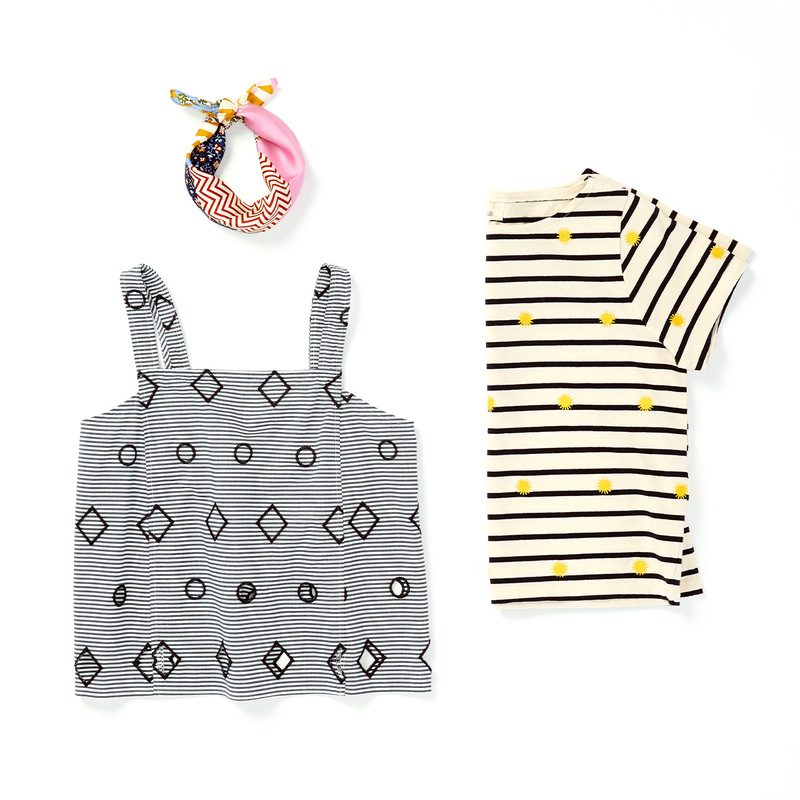 Combine floral and chevron on a whimsical scarf, bold geometric shapes over a crisp tank, or a stripe-and-dot combo. There's something inherently pretty about graphics dancing across your attire. 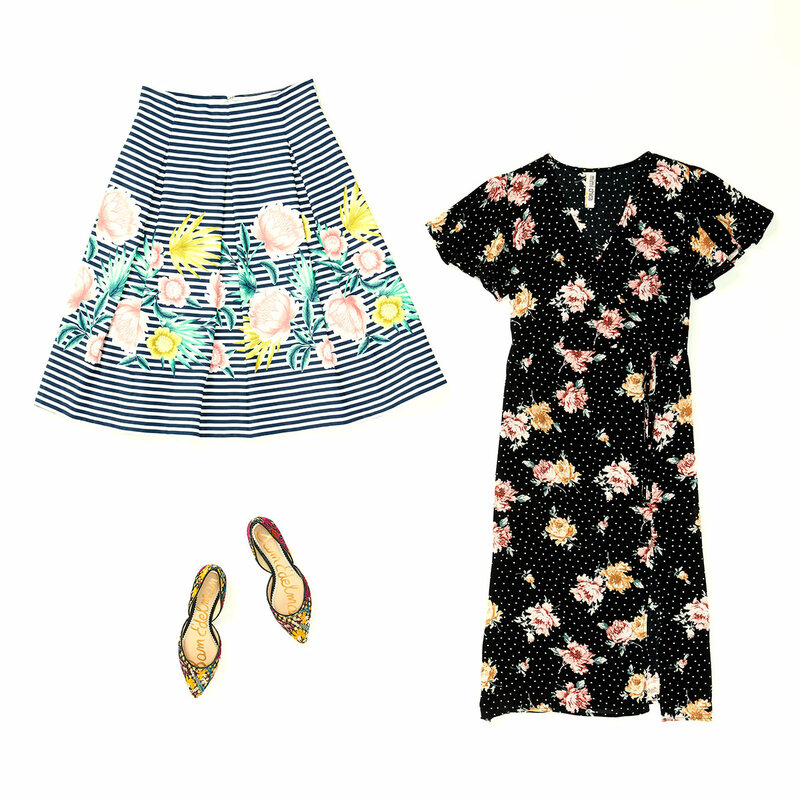 Opt for a high contrast striped skirt with florals, tropical bursts over a check print pointed flat, or a summer dress with dots and blooms.